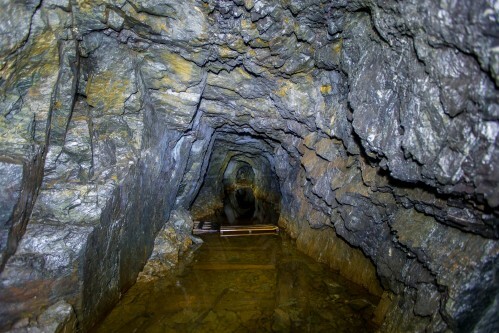 Everywhere in Northern Ontario, old mines dot the map, having sprung up rapidly during the early 1900&apos;s mining boom. 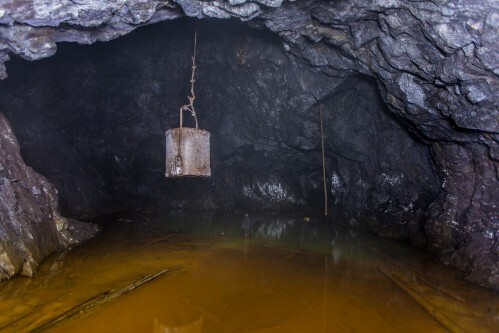 Often, these mines vanished just as quickly, having become uneconomical. 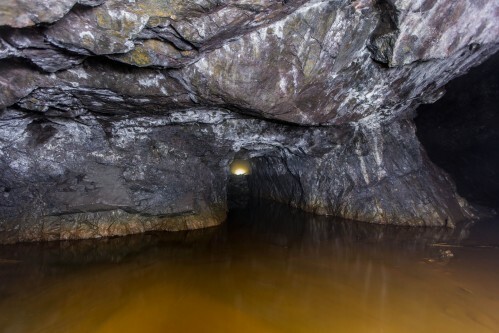 Such is the case of the Breitung Mine, which sits several hundred feet up a hillside from modern cottage properties lining the shores of Northland Lake. 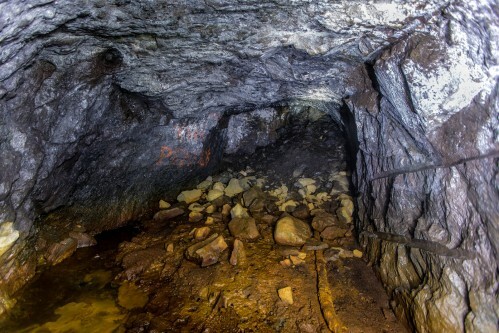 Prospected originally in 1901 from hematite (iron) showings, the site expanded rapidly, with a workers camp established on the shore of the lake and an adit driven. 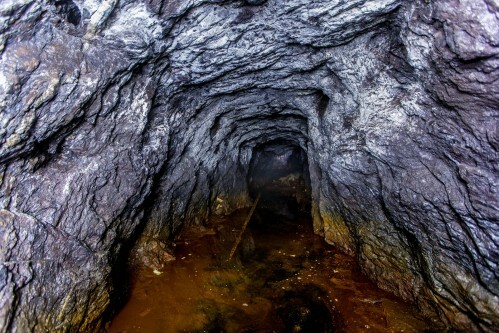 The adit was driven further into the rock several times, with some drifting added to connect the main shaft to the adit at the 70 foot mark. 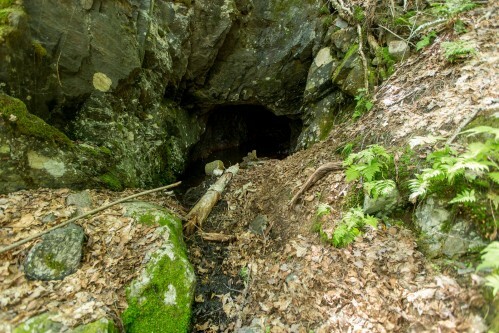 A 65 foot winze to lower workings was also added, and above the winze, the area was rapidly stoped out to a large cavern. 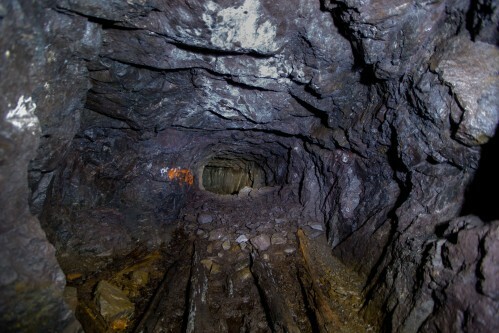 Ore crushing facilities were added at the surface, as well as a rail spur to the Algoma Central Railway. And then, just as rapidly as it had expanded, the site was abandoned, with all production ceasing in 1905. Travelling with Brind, this was my first visit to the site; Brind had been previously. 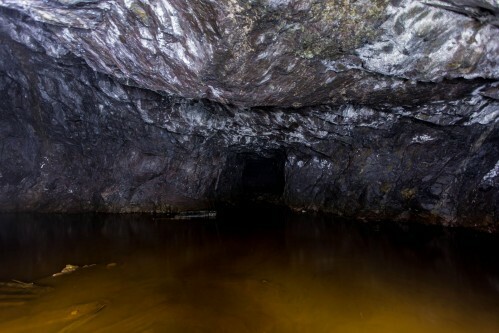 On his first visit, ice had filled the adit despite it being summer, so he didn&apos;t expect there to be much to the site. The plan was to stop, let me get a photo or two of the ice filled adit, then move on. I climbed the hill, found the adit... and found it to be ice free. Informing Brind of this, we decided to make our way in. This time, Breitung gave up it&apos;s secrets to us. A collapsed raise partway in made traversal difficult, but once clear we found ourselves in the main part of the foggy workings; the warm summer air mixing with the cold water. 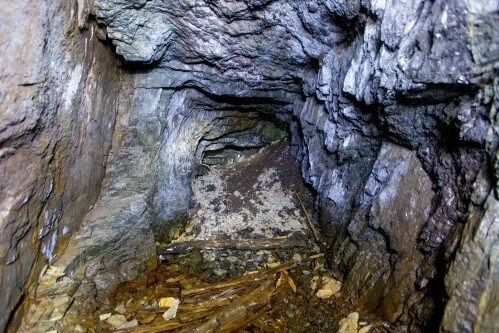 In front of us, the stope and winze, as well as the drift leading to the now-collapsed shaft site, revealed themselves. Stirring up the murky water in the drift proved to be troublesome; the decaying organics did not appreciate being exposed and turned pockets of air sour. Being aware of how rapidly bad air can incapacitate, I beat a hasty retreat back to the stoped area. While it isn&apos;t the most expansive working I&apos;ve been in, it is notable as it is the first in which I&apos;ve ever encountered an intact bucket, still hanging from the roof overhead. 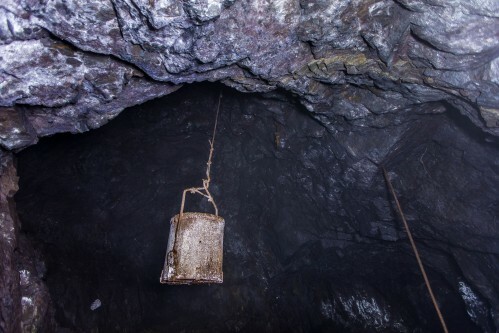 That alone makes the Breitung Mine memorable.